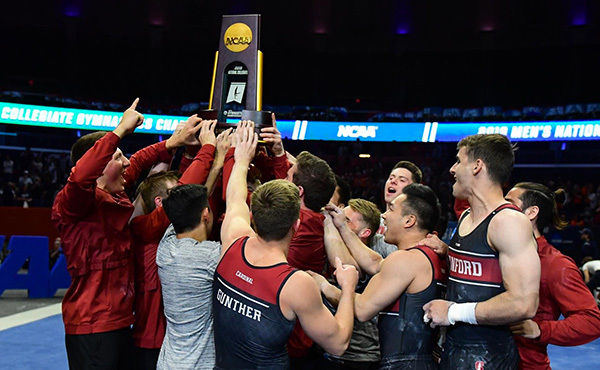 COLORADO SPRINGS, Colo., April 24, 2015 – Colin Duda of Atlantic Highlands, N.J./Elite Trampoline Academy, and Cody Gesuelli, Middletown, N.J./Elite Trampoline Academy, and Clare Johnson of Huntsville, Ala./The Matrix, and Nicole Ahsinger of San Diego, Calif./So Cal TTC, won the men’s and women’s synchronized trampoline titles, respectively, at the U.S. Elite Challenge at U.S. Olympic Training Center in Colorado Springs, Colo. 2014 U.S. trampoline champion Charlotte Drury of Laguna Niguel, Calif./World Elite Gymnastics, and 2012 Olympic alternate Logan Dooley of Lake Forest, Calif./World Elite Gymnastics, finished atop the trampoline standings after the prelims. 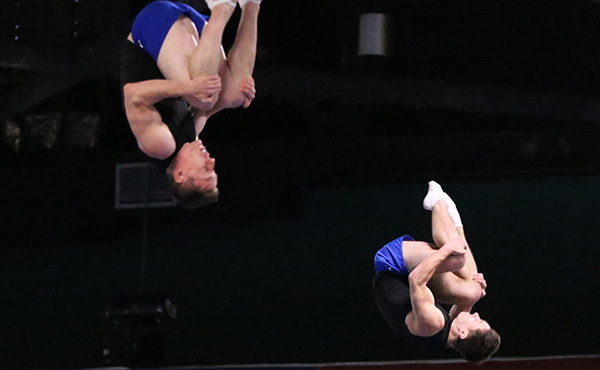 On Saturday, the two men and two women who will represent the United States at the 2015 Pan American Games in trampoline, pending approval by the U.S. Olympic Committee, will be named following the trampoline finals, which begin at 4:30 p.m. along with the other senior finals. 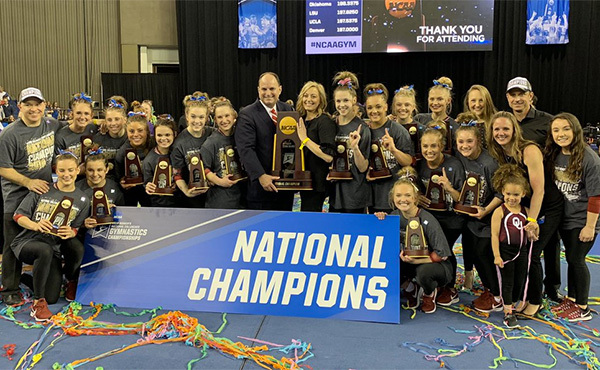 The three-day event showcases the USA's best in men's and women's trampoline, tumbling, synchronized trampoline and double mini-trampoline. Duda and Gesulli had little trouble capturing the men’s synchronized trampoline gold medal after tallying a 131.200. Aliaksei Shostak of Lafayette, La./Trampoline & Tumbling Express, and Jeffrey Gluckstein of Atlantic Highlands, N.J./Elite Trampoline Academy, combined for a 115.300 and second place. Third place went to Steven Gluckstein of Atlantic Highlands, N.J./Elite Trampoline Academy, and Dooley with 93.600. In women’s synchro, Johnson and Ahsinger earned a 99.400 to easily win the title. Delilah Glidden of Laurel, Md., and Ivanna Antezana of Silver Spring, Md., both of whom train at Fairland Trampoline & Tumbling, claimed the silver medal with 82.400. The bronze went to Air Extreme’s Shaylee Dunavin of Amarillo, Texas, and Dakota Earnest of Tokio, Texas, at 77.700. 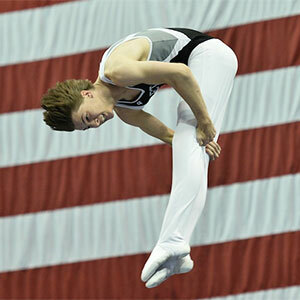 In men’s trampoline prelims, Dooley took top honors with his 104.585 total. 2012 Olympian Steven Gluckstein was right behind him with 103.950. 2014 U.S. champion Jeffrey Gluckstein rounded out the top three at 103.310. Drury’s 98.205 put her in first place in the women’s trampoline prelims. Shaylee Dunavin of Amarillo, Texas/Air Extreme, was second at 94.945, followed by Johnson in third at 94.705. 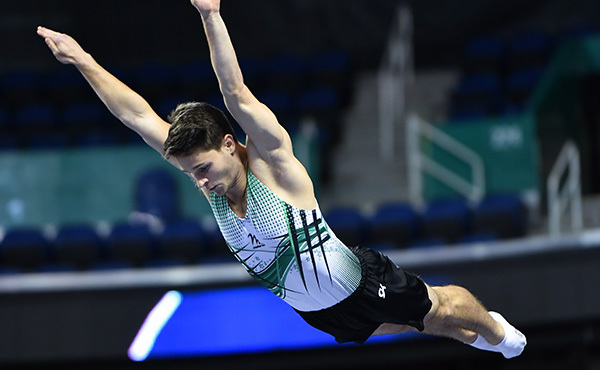 Alexander Renkert of Indianapolis/Geist Sports Academy, posted the highest mark in the men’s tumbling prelims, 70.400, and in the double mini-trampoline prelims (75.000). His Geist Sports Academy teammate Tristan Van Natta of Pendleton, Ind., was first in the women’s double-mini finals (70.00). 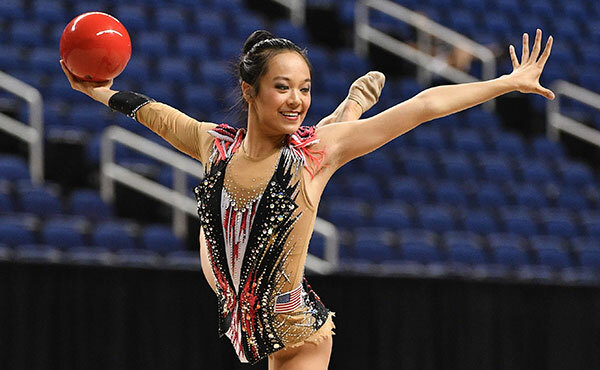 In addition to the junior and senior elite levels, the U.S. Elite Challenge also includes athletes competing in Level 10 and Elite Youth and Open Junior levels. The junior and senior elite competition schedule is highlighted below, but the competition sessions for all levels runs from 9 a.m.-11:30 a.m., 12:30-5:30 p.m. and 6:30-9:15 p.m. on April 24; 9:30 a.m.-3:30 p.m. and 4:30-7 p.m. on April 25; and 9 a.m. – 12 p.m. on April 26. All times listed are Mountain Time. 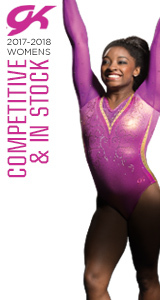 The complete competition schedule is available at usagym.org/pages/tt/events/2015/elitechallenge.html. The junior and senior elite competition schedule is as follows. Available at the door, all-session passes, which allow access to every session on all three days, are $25 for adults and $10 for children. To be considered for the Pan Am Games Team, eligible senior trampoline athletes have two ways to qualify for the Pan Am Games athlete pool: already earned minimum scores (46.000 for compulsory and a 54.000 for optional routines, men; 44.000 for compulsory and 50.000 for optional routines, women) at one of three events prior to the Elite Challenge; or earn at least the minimum score noted above for the compulsory routine and the optional routines in the preliminary and final rounds. The Pan Am Games team will be determined either by performances at the Elite Challenge and/or through the Selection Committee. The four athletes will be announced on April 25. For the complete, official selection procedures, click here .